Website structure SEO, or site architecture SEO is all about organizing your website and all of its content in a way that is guaranteed to efficiently distribute your website’s authority and PageRank (while maintaining relevance) to your most important pages. In that regard, silo SEO is a particularly powerful technique when it comes to site architecture SEO since it helps boost topical relevance across the board and helps Google Spiders understand what your content is all about. Surprisingly not a lot of SEO Consultants understand that site architecture SEO actually helps indexing rates, rankings traffic, and when done right, it even improves user engagement. Personally, I believe it’s because website designers have a big say on what website layouts are supposed to look like, and that doesn’t always align with what’s best for search engines. But that’s a topic for another day. In this guide we’re going to discuss in great detail how to do silo SEO the right way while avoiding harmful link bloat. So, let’s just jump into it! Before we start carefully designing our website structure SEO, it’s important we understand its immediate and long-term goals. At its core, Google tries to provide its users the best results for their queries. If a visitor loads your website and finds an overloaded menu bar, or links to irrelevant sections of your website, then there’s a good chance your potential customer will join your bounce rates statistics. This is why effective site architecture SEO takes into account positive user experience. Are your prospects having trouble navigating through your content? Are they being effectively directed to your high priority pages? (a high priority or critical page in site architecture SEO for affiliate marketers would be their money article). Is your website easily navigated, is your most important content three (or fewer) clicks away from your homepage? If you’re unable to answer these questions, I humbly suggest you check out our Google Analytics basics guide, and our conversion optimization guide. You’ll find the tools and insight needed to answer these questions. You’ll find that architecture SEO has tools and “building blocks” you can use: links, anchor texts and content layout are all resources that can help you direct your prospects to high priority pages. To that end, it’s important that you make sure your site architecture SEO strategy prioritizes and highlights these pages, and pushes your less popular pages to less prominent spaces. Once we guarantee that our layout is working for our prospects, then we can begin structuring the content to maximize its SEO benefits. In this guide we’re going to leverage the power of silo SEO and couple it with a coherent cross link strategy that avoids link bloat, and maximizes relevance across the board. This is the process that we follow on e-commerce sites, affiliate marketing sites as well as regular websites or blogs, so rest assured that no matter your industry, you’re guaranteed to see improvements in the search engines result pages, assuming you carefully follow each of the steps we’ve laid out for you. One of the fundamentals behind website structure SEO is keeping all of your important pages, at most, three clicks away from your visitors. Depending on your website, adhering to this particular rule may not make sense, but for most websites it’s fundamental to silo SEO. Some e-commerce sites are reluctant to adopt this content distribution rule because of how varied and/or specialized their products are. But there are also websites on the opposite side of the spectrum, for example affiliate marketer sites that are so specific in their offers and products that it doesn’t really make sense to stretch their content distribution to follow this rule. The idea behind this rule is not only to keep your content organized, but to limit the amount of links each page has (this prevents diluting SEO juice and possible Google penalties) as well as stablishing and maintaining topical relevance for your critical pages and entire website. Simply put, it helps Google better understand what your site is all about and boosts how effective your silo SEO will be in the long run. Next up, we’re going to discuss how to adapt your silo SEO to the 3 Click Rule. Silo SEO is all about distributing your content based on a hierarchal structure that covers a broad topic on the top, and expands to more specialized, yet related topics over time. The idea is to balance your silos in a way that creates topical relevance, and at the same time, follow the Three Click Rule to guarantee positive user experience. These pieces of content will be connected by its inherent URL structure as well as contextual links. We’ll further discuss more about crosslinking efficiently, but for now let’s explain what silo SEO is. We’ve discussed in the past just how important topical relevance is when it comes to evaluating how powerful links are. We’ve mostly discussed this from a “receiving” stand point (how important links from websites that are relevant to your website are). But how does Google understand what your website is about? and, how can we help crawlers understand what our website is all about? With silo SEO, of course. Note: These Subcategory Pages might not be necessary depending on your website’s structure and products. Feel free to skip this tier and head straight into posts. Our silo page will link down to pages exclusively related to it. These pages under your silo page are typically known as posts. This way our content is grouped up in a way that stablishes clear semantic relationships in Rankbrain’s eyes, and is exclusive interlinked to ensure topical relevance. Each of these content clusters become related and hierarchized to become “silos”. The idea is to structure all of your silo SEO in a way that complies to the 3 click rule we mentioned earlier. As you can see all of these posts interact exclusively with posts within its respective silo, this is what we know as a restrictive internal link structure, or isolated internal link structure. The idea is that Google crawlers start on your silo page, and subsequently jump to each post and see how its content is related before jumping to your next silo. This way topical relevance is guaranteed, and the number of links on each of your pages is limited to a healthy amount. Footers must only link to pages you’re not interested in ranking on the search engine result pages. A good example for this would be your contact page, or disclosure/TOS page. Your menu links, also known as navigation tab must only link top silo pages. If you have sidebars, each silo must have a customized sidebar that preserves the restrictive internal structure (it should only feature other posts in that silo). When it comes to planning a website and its content, one of the biggest choices people have to make from early on is exactly how specialized their website will be. In our “launching a SEO campaign” article we discussed this briefly, and how important it was to adapt your keywords research and targeting to your budget. The same logic applies to how you’ll structure your silo SEO. Some marketers opt to focus on a very specific product or niche, create as much content (both informative and sales oriented), which by itself guarantees topical relevance in all the internal link structure. But websites such as these have little to no need for a silo structure and quickly run out of content. One of the biggest trends nowadays is creating authority websites that are carefully organized and planned using silo SEO. For example, say you were to create an authority website centered around fitness and affiliate marketing offers. Your silo pages could talk about the best supplements for each category, and maybe even some gear/apparel your audience might find useful. 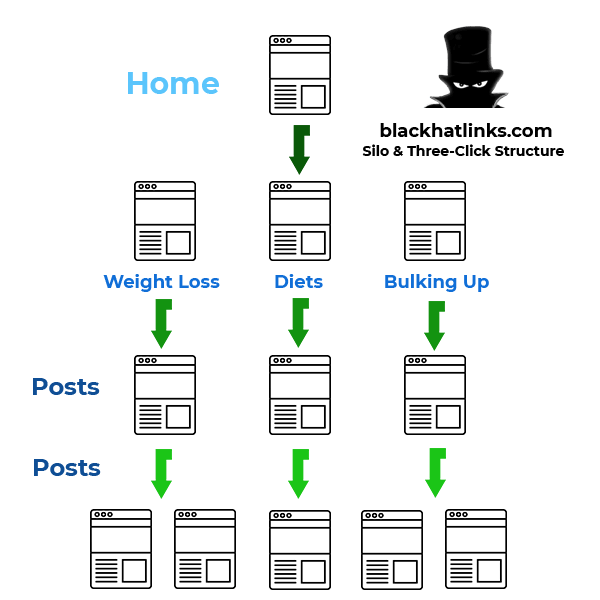 Then your subsequent posts in the diet section could talk about specific diets, like keto diet, paleo, etc. 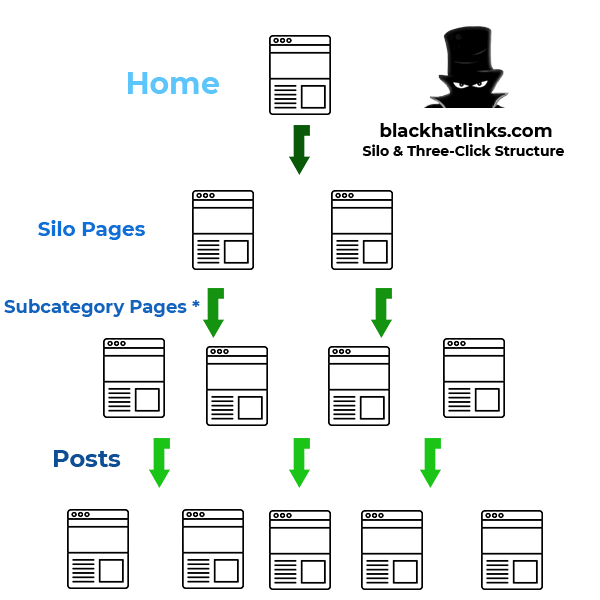 Remember: the posts are supposed to link up to your silo pages. Creating these silos is a deliberate effort that starts with your keyword research. Keyword research is another topic we’ve discussed thoroughly before, but if you’re in need of some inspiration, visiting a Wikipedia page on the “general topic” or industry you wish to discuss in your website is a fairly good starting point. You’ll find that the way topics are listed naturally resembles a silo SEO structure. My advice would be to adapt this existing structure to your keyword research and just take it from there. You’ll find that some topics are better saved for informational posts that are better suited for social media and content promotion, and others could naturally contain sales offers. Take your time when planning your website’s silos: Adapting existing websites to a silo structure can be extremely challenging later on, so it’s highly recommended you get this step right from the start. We use Google Sheets to plan our silo SEO ahead of time, but there are other neat tools like Workflowy that can help you visualize what your content distribution will look like ahead of time. Once you’re done planning your silos and website structure SEO strategy, start developing content for them. Depending on how many silos you have and budget, you might want to outsource some of this writing to professionals. Remember that you’ll have to build backlinks to key pieces of content as well, which is why sometimes it’s best to delegate some of your tasks to freelancers or agencies. 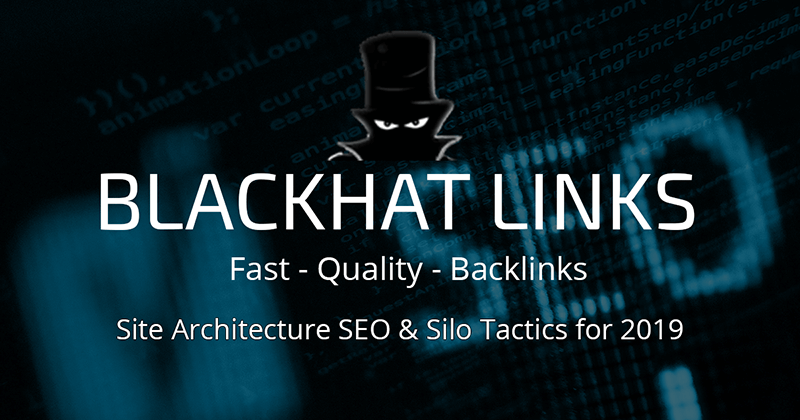 One of the top strategies used in 2018, and that is very likely to see success is to buy PBN backlinks to all of your silo pages. Internal links are important, but building backlinks outside of your website is absolutely necessary if you wish to see success in the short and long term of your online business. Growing each of these silos can be challenging, but the reward is well worth it. You’ll not only end up with a very well-structured website, but you’ll reap many SEO benefits from this practice. Just remember to follow the pointers we’ve given you throughout this section and you’ll do great. Now it’s time to figure out how we’re going to link our pieces of content together. Now that you got your silo SEO in place, it’s time to interlink your content efficiently. We’ve already stablished that posts that belong in a silo should exclusively “link up” to a critical piece of content. For affiliate marketers this would be their money article, other websites might prefer to funnel their link juice to a hub page. 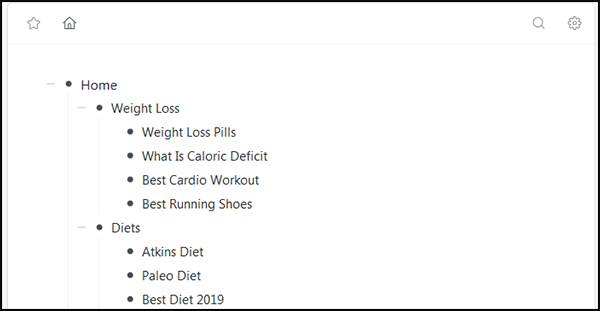 As you can see, our mock up fitness site has many silo pages that are closely related, since building an ideal body involves many different variables, such as proper dieting, exercising and using the right supplements. All of these topics have some clear connection between each other, so there’s really no reason why you shouldn’t share some of that high authority with the right anchor texts. If, however, we were to introduce a completely different section, say, self-help or tactics to stay motivated in the long run, it might not be such a great idea to interlink them. 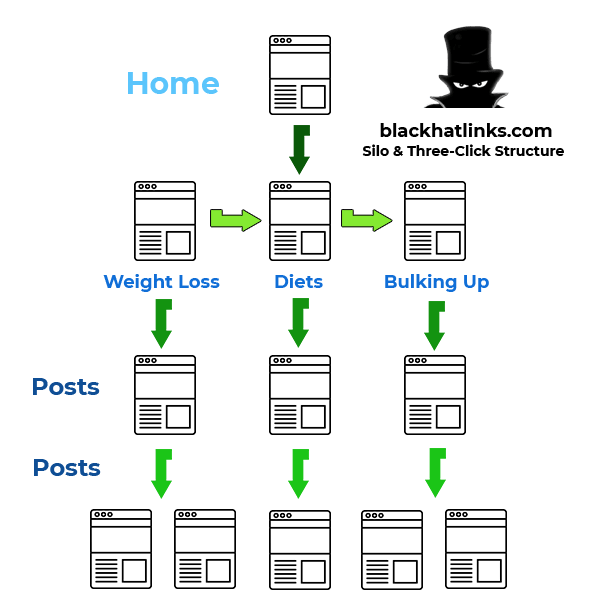 Many of the topics you’ll discuss in this silo page have to do with commitment, the right mindset and how to stay inspired, all of which don’t really have a clear connection to say, what’s the best supplement to build muscles. Note: Keep in mind some websites do interlink ALL of their silo pages, and some of them perform quite well in terms of revenue and metrics. But if you’re having a hard time stablishing the topical relevance between the two of them it’s probably best not to force it. With that small disclaimer out of the way, you’ll notice later on, that some of your content will perform considerably better than others. These pages in site architecture SEO are known as High Authority pages. Locating these pieces of content is fairly easy, your Google Search Console data or even your Analytics dashboard should have historical data you can use. Once you locate these sites, slap on a link to your sales pages, or any important page that isn’t currently fed with links. Doing this can be tricky, but necessary in the long run. One or two slightly out of context links won’t hurt your overall website topical relevance, and the SEO benefits you’ll reap are well worth it. One of the pitfalls behind silo SEO comes from diluting your high authority content SEO juice with excessive links. Generally speaking, the more links a particular page has, the less authority each link will pass. This is why it’s essential to keep a healthy balance in your interlinking, carefully prioritizing relevant silo pages above all others. Large e-commerce sites usually have this problem. For them, prioritizing their internal link structure is just as important as being mindful with their crawling budget. You could even argue that not doing so would severely affect their crawling and indexation rate for their content. Another quick fix is to trim your footer’s and sidebars links over time. 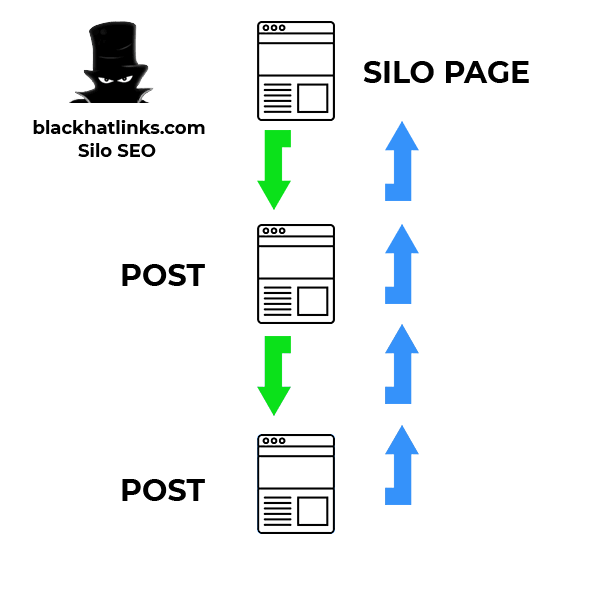 This is essential for your internal linking strategy as well, so there’s really no reason why you shouldn’t. As your website grows, you’ll notice link bloat can become an issue, so it’s very important to plan ahead. Take your time planning your silos, your future you will thank you. Site architecture SEO, or more specifically, silo SEO can be tough to plan and follow through, but the rewards are well worth it. Carefully creating topical relevance using your internal links and topping them off with a healthy mix of PBN backlinks is a long-standing strategy that is bound to work. Having an organized website layout will make it considerably easier to test and measure metrics and optimizations over time. Your visitors will appreciate having an organized layout that prioritizes their interests, and Google will reward you with better rankings in the long run. Keep in mind that this is merely one way to conduct silo SEO. Many other websites treat their internal linking differently and get great results as well, so there’s really no reason not to experiment with it. Just remember to track your website’s data and adjust accordingly to your visitor’s needs! Thank you for reading, I hope you enjoyed this guide!